The zombie infection has spread wide throughout the veins of mainstream film genres over the years. The romantic classic caught the disease in Pride and Prejudice and Zombies, which transformed its protagonists into cold-blooded killers of cold-blooded creatures; The Walking Dead introduced the undead to the multi-season series; Warm Bodies took the traditional coming-of-age-boy-meets-girl film into necrophilia city. And now, Anna and the Apocalypse spreads the virus to the family favourite: the high school musical. But it’s also a Christmas film. Anna, a perfectly normal British teenager who dreams of travelling the world after finishing school, has her world turned upside down when a lethal pathogen spreads around her town, creating hordes of undead of the town’s residents. Armed with golf clubs and decorative candy canes, Anna and her friends must fight their way through the flesh-devouring masses and personal issues to survival. While singing a whole lot of musical numbers. The film is fast, funny and touching. There are some poignant moments, a fabulous villain and a fabulous cast with some amazing singing voices, but it suffers from a bit of an identity crisis trying to weave the different genres together. There are parts that would have been beautiful if they *just* hadn’t immediately broken into a show tune afterwards. Likewise, some moments that would have been pure comedy gold were weakened by mixing it with a teenage angst issue. 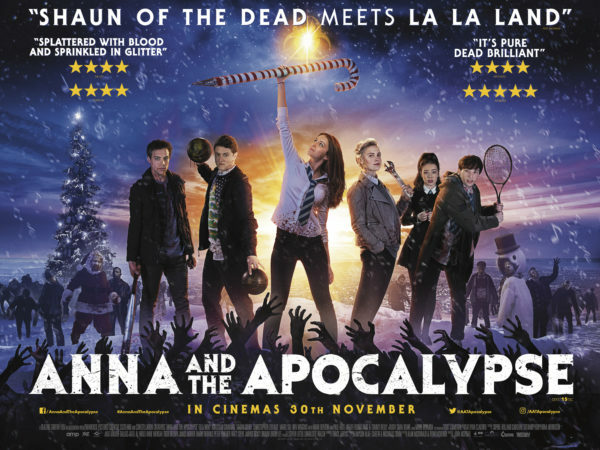 Basically, Anna and the Apocalypse is what you’d expect it to be: A fun, musical Christmas zombie film. It’s not quite consistent enough with the British charm and wit of Shaun of the Dead, but there are memorable laugh-out-loud moments. It’s not quite got the earworm tunes from the Buffy musical episode or Glee, but the musical numbers are entertaining. Anna and the Apocalypse adds up to a fun novelty seasonal item, but just misses the mark with the standout quality to leave you zombie-like desperate for more. But, definitely worth that initial watch! 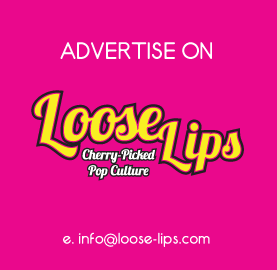 This entry was posted on Tuesday, November 27th, 2018 at 12:36 pm	and is filed under Features, Film, Review.